A magazine editor in his 20s, living in Los Angeles, Jack is engaged and expecting his first child when he learns that his father has been killed in a horrific car accident that his mother survived. 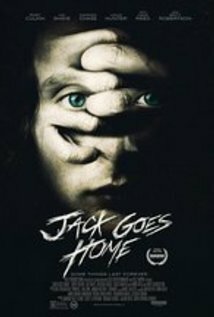 Jack returns to his hometown, Denver, CO, to nurse his mother through her physical and emotional injuries. During his stay, Jack uncovers long-buried secrets and lies within his family history, his parents, his friends and his very identity. Jack's journey to learn the truth is fueled by madness, hauntings and violence.